Parallax was one of three OG players on the team. 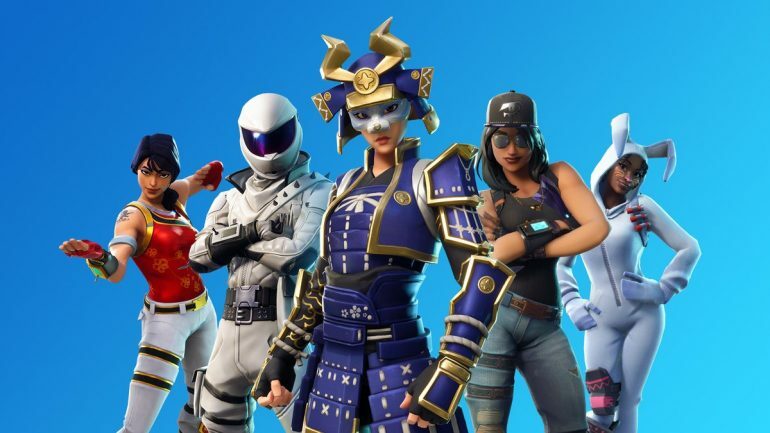 100 Thieves has parted ways with one of its original Fortnite professional players, Archie “Parallax” Shrader, following the signing of four new players to the battle royale roster last month. The organization announced Parallax’s departure yesterday on Twitter, but didn’t give any further details regarding the decision behind the move. We are parting ways with @100T_Parallax from our Fortnite competitive team. Thank you for being a part of the beginning of Fortnite for us, and we wish you nothing but the best for the future! Parallax was one of the first players on the organization’s Fortnite lineup, having signed with 100 Thieves alongside Alex “Risker” Biamonte and “Kenith” in June 2018. The roster failed to find success throughout the year, however, and the organization parted ways with Risker shortly after the start of the new year. In February, 100 Thieves recruited four additional players in a move to revamp the Fortnite roster, welcoming Maurilio “Blind” Gramajo, “Kyzui,” Davis “Ceice” McClellan, and Hayden “Elevate” Krueger to the team. The signings occurred around the same time Epic Games revealed details about this year’s Fortnite World Cup, which will see players in every region begin competing in Open Qualifiers from April 13 to June 16 to attend the main event in July. Epic hosted the Scallywag Cup last weekend to prepare its systems for the qualifiers in April. On Wednesday, the Fortnite developer announced a second online tournament in the Blackheart Cup, which is set to take place over the weekend and will boast a $100,000 prize pool across all regions.